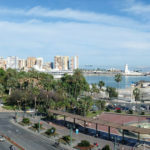 During the month of June and registered according to the online booking website hotel.info, Malaga has been voted as city with the best hotel rating in Spain. Through a study on ratings provided by the users, with a scoring system from 0 to 10, Malaga has obtained 7.68, above the immediate pursuers: Murcia with 7.62, Valencia with 7.55 and Bilbao with 7.44. The online booking company also wanted to show the rating of hotels in major cities at European level: Warsaw is placed first with 7.92, followed by Helsinki with 7.64 and in third Berlin with 7.59 out of 10. Among the top 10 capitals, Spain makes an appearance with Madrid reaching 7.27 points and placed in ninth position. In our guide we can provide you with the name, address and phone of some of the best 4 and 5 star hotels in Malaga, or if you are looking for an accommodation at a more affordable price we also have information on Malaga’s most reliable 3 star hotels. In the Costa del Sol we have excellent beaches, art and culture, great people, wonderful food, the best entertainment and now you know another of our strengths, we have one of the best hotel services in Spain; would you like to visit? 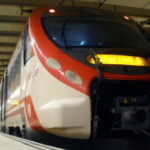 Malaga Transfer provides for the most efficient transport service.